LONDON - Directgov, the government's umbrella digital service, is launching a new campaign to help internet users access public services and advice. 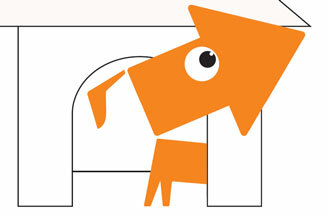 The ads, by MCBD, will introduce a new character, an animated dog, for a campaign running across TV, print, radio, online and on ATM machines. The TV feature a voiceover by The Mighty Boosh star Julian Barratt. Breaking this month, the ads will show people how they can use one website, Directgov, to access public services through the web, mobile phones and digital television. Topics range from the everyday including finding a school, renewing car tax and planning a greener journey. Needs relating to the economic downturn such as family problems, finding a job or help with mortgage payments will also be covered in the campaign. Mike Hoban, Directgov's newly appointed communications and engagement eirector, said: ‘We already welcome more than 11 million visits to the Directgov website every month and this new campaign can only help to strengthen this leading position. ‘As we face these challenging economic times, Directgov is an essential supersite for members of the public, and is also accessible by phone and mobile,' he added.